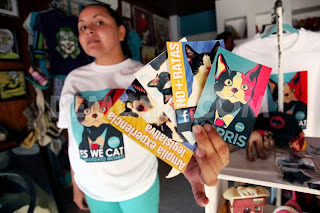 IN his continuing search for the more weird, wacky and wondrous in the world of travel, David Ellis says our pollies should take note of what's just happened in the Mexican city of Xalapa – in the Mayoral elections there, an unusual candidate for wearing the Mayoral robes that we told you about several weeks ago, was Morris the cat – and we've now learned that bizarrely, he scored himself 12,000 votes. 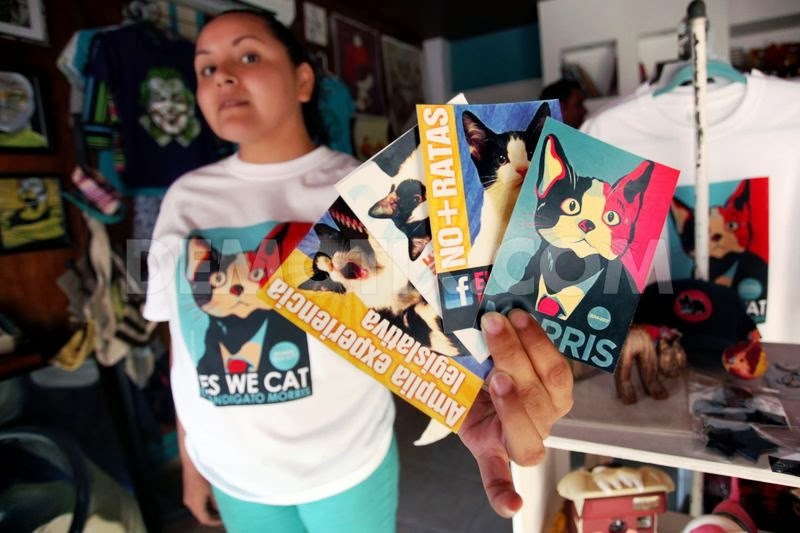 It was enough to put him 4th in line for the Mayor's job, and well ahead of seven other candidates including the representative for Mexico's most influential left-wing party, the PRD… not to mention Tintan the dog, Maya another puss, Tina the chicken and a donkey named Chon. Morris' campaign included TV appearances, his own T-shirts, and photo-shoots with prominent newspapers and magazines. Plus he also earned himself 150,000 "likes" on Facebook. The two university students who nominated Morris for Mayor of this city of 420,000 residents said they'd done so because they believed he fitted the profile of most politicians… running his campaign on the basis "he sleeps all day, and does nothing."